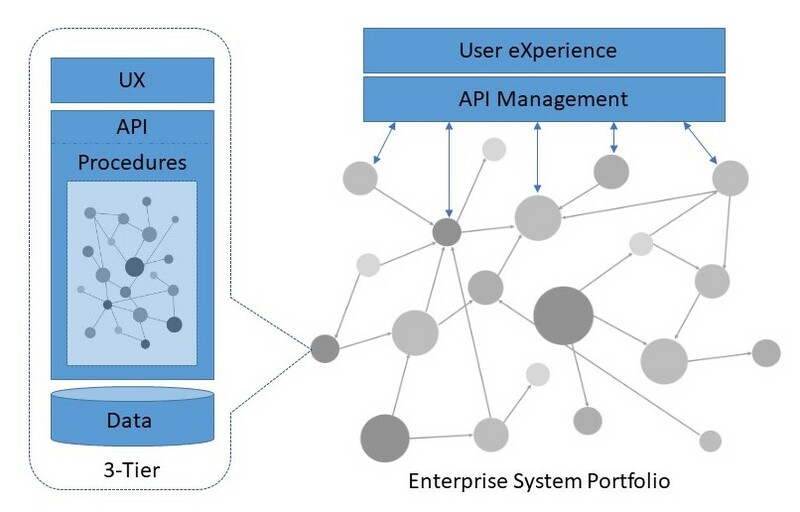 You of course also have something in between the application architecture and enterprise architecture, still embracing the domain silos, but encapsulating all features and data within and exposing through a defined interface (API). These are your typical suites of ERP, CRM, CMS, HR and so forth. 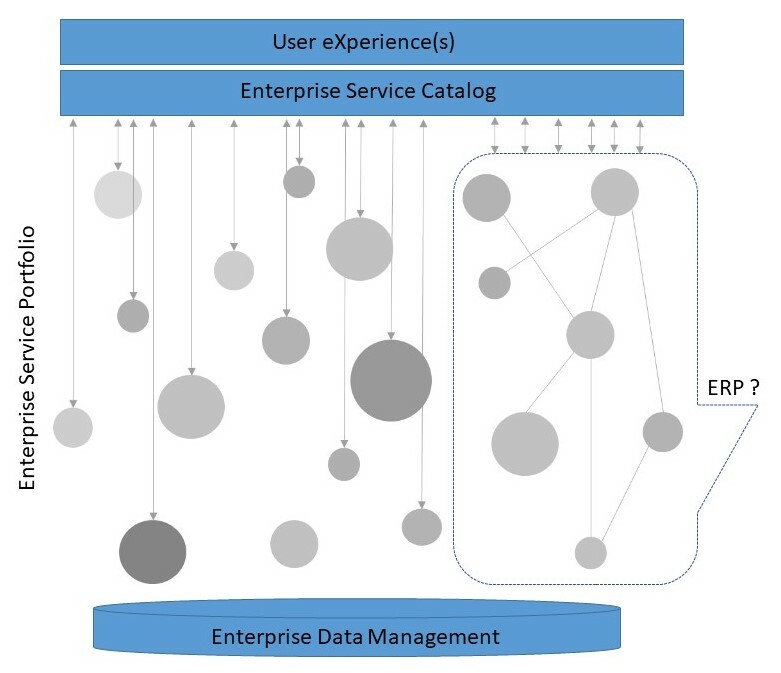 Good examples of an early step towards enterprise architecture target state, and hugely successful as such – but nowadays with digital transformation this model is rapidly being outdated, and these black boxes are being opened up and service oriented to meet with modern expectations of digitalization. Did I say digitalization ? Let me try again; virtualization – a virtual representation of something, abstracting the underlying complexity so that we can scale better and achieve more with less. We virtualize hardware into virtual machines, and further to containers, at the same time going from infrastructure as a service to platform as a service and ultimately serverless, software as a service. Again the same pattern, only at a constantly higher level – once we have standardized and achieved control on the current level, we proceed to the next. Same with programming, following the path from hardware to high level functional programming; assembly, C, C++, C# and now F#, next introduce AI & ML. 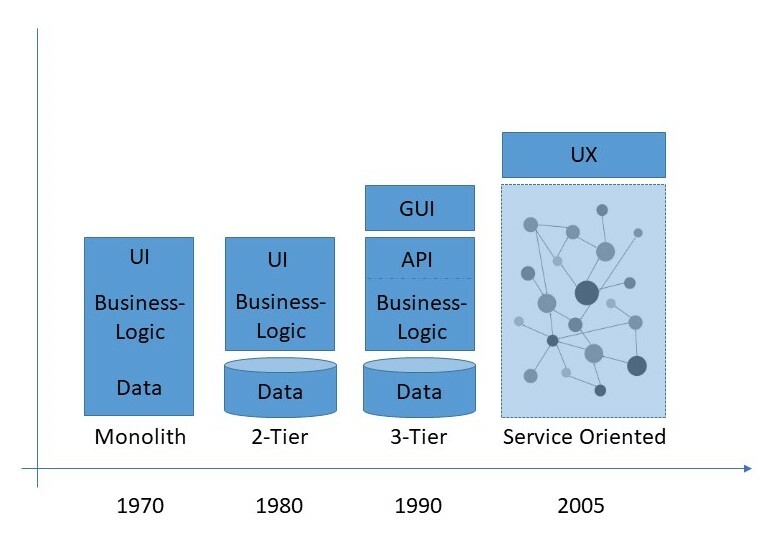 So, what is the next architecture level? We go from enterprise on premises applications, to cloud and multi-cloud services. Physical boundaries are no longer relevant, and the focus becomes connecting inter-enterprise data and functionality on a global level. 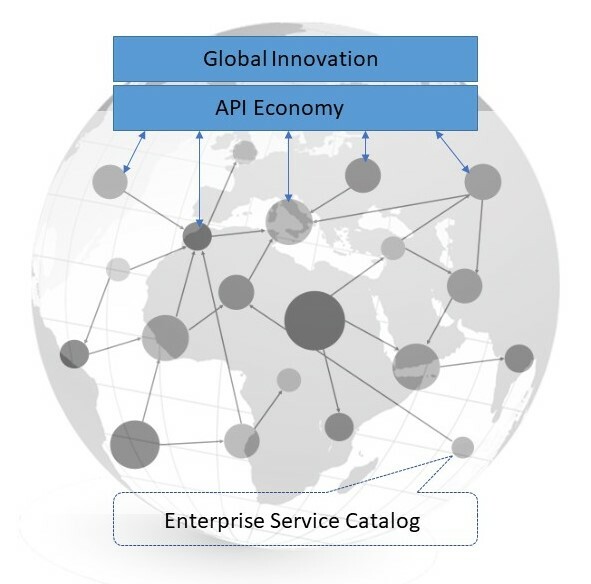 This is the API Economy, but the architectural pattern is still principally the same, although we have gone from methods in an application, through systems in an enterprise IT portfolio, and now to enterprise-services in a global API economy. And we’re still going – zoom out!